Hydroscapes was a site-specific, kinetic sculpture created from strings of hundreds of plastic tubes containing a chemiluminescent chemical (brand name: Cyalume). The six-inch tubes were tied at five foot intervals on lengths of monofilament, creating a grid shape, and were installed in King’s Cove in Newport, Rhode Island on July 10, 1976. The monofilament grid was attached to boulders on either side of the cove, and Hydroscapes floated on the surface of the water and continually changed shape due to the motion of the waves and currents. 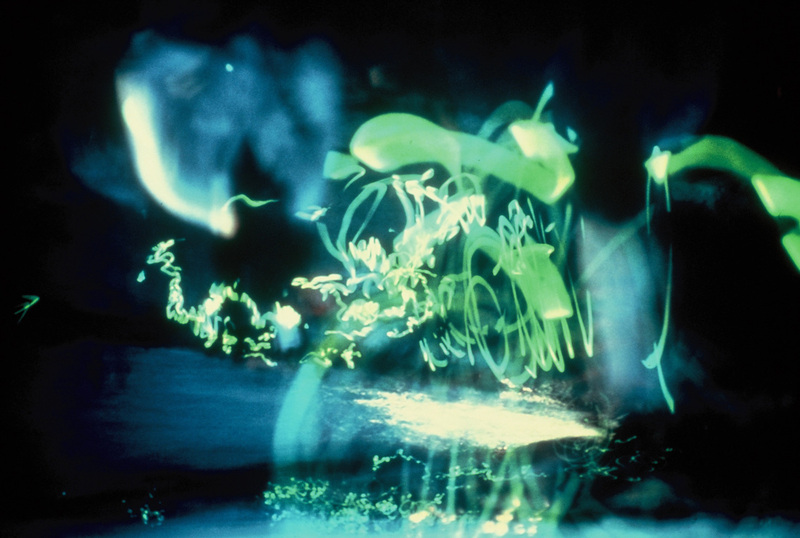 Hydroscapes was a bicentennial project funded by the Rhode Island State Council on the Arts. Based on the chemistry of a firefly, a Cyalume contains two chemicals: an “activator” and an oxalate encased in a small glass ampoule. When the Cyalume is bent, the ampoule breaks, and when the tube is shaken, the chemicals mix and fluoresce. The resulting mixture is a hydrogen peroxide-based chemical that glows with a greenish-yellow color. Hydroscapes was inspired by tiny bioluminescent sea creatures that Laurie encountered one summer while swimming in the Gulf of Mexico. Prior to installing Hydroscapes in the cove, Laurie consulted neither tide charts nor the police, and it was a nothing short of a miracle that when the sun finally set Hydroscapes was floating and fluorescing in the cove and no one was arrested. 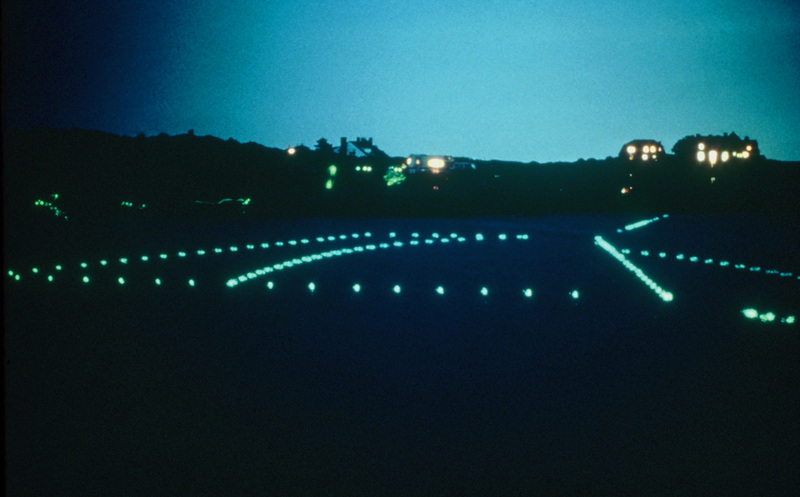 Laurie hired a conga drummer to stand on a boulder overlooking the cove to accompany the floating lights, and hundreds of viewers congregated at the site swinging single Cyalumes on strings. The assembly and installation of Hydroscapes was assisted by: Connie Coleman, Dennis Hlynsky, Bill Jungels, Bob Jungels, Dorothy Jungels, Philip Palombo, Alan Powell, Tony Ramos, Carol Ranson, Ed Tannenbaum.